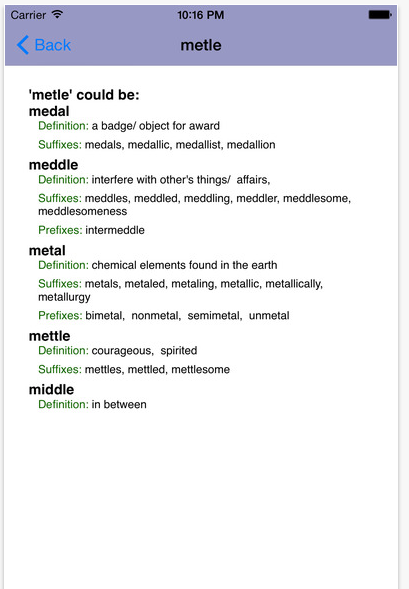 Metal, mettle, meddle, medal and sometimes even middle. Five words that sound very much alike but each one has its own unique meaning. They’re called homophones, two or more words that have the same pronunciation but different meanings, origins and, in most cases, spelling. We probably heard about words like that in our high school English class but, like so much from high school, most of us forgot all about them. But not Diane Frank. She spent years compiling the American Wordspeller and Phonetic Dictionary. It’s a collection of some 68,000 words that have sound-alike siblings compiled into a mobile app. It’s based on the phonetic dictionary that Frank wrote in 1998. A lot of common homophones are easy to master. Search homophones on Google and you’ll find lists or charts of 10 or 20 common words that sound alike. But Wordspeller goes way beyond the basics. 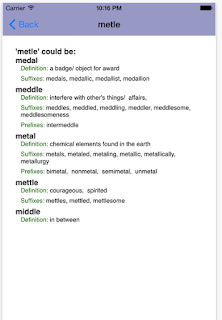 For example, it’s the only dictionary that offers all available prefixes for a word and spells them out for you. 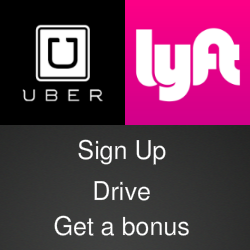 Bring up the word “satisfy” and along with a definition, the app will refer you to prefixes dissatisfy and unsatisfied and suffixes such as satisfying, satisfaction and satisfactory. 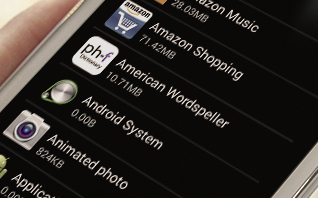 The app displays suffixes spelled out and prefixes spelled out. Wordspeller is also useful for cross referencing words that sound alike. It’s primary talent is its ability to find words even when you don’t know how they are spelled. Just start trying and the after two or three letters, Wordspeller will will present a list of possible matches. I entered T-H-A-I-R and Wordspeller quickly determined where I was headed. It offered a list that included there, their and they’re, with a short definition for each word. With Wordspeller, no spelling rules are required. Just type in what you think you heard and in most cases the app will figure it out. And it will work completely offline. It doesn’t need an Internet connection to do its job. American Wordspeller has also been cited as a useful tool to help children or adults deal with dyslexia and other spelling problems. The app is available for $2.99 in the iTunes App Store for iOS devices and for .99 cents for Androids in the Google Play Store. If English is your second language, there’s also ESL versions for iPhones and Androids at the same prices in both stores. For more details, check out the Wordspeller website and for more on words, phonetics and how the app can help people with dyslexia, follow @wordspeller on Twitter.